The master plan is complete and you’re now reclining with a cocktail, ready to let someone else run with it. Time to delegate. Time to hand it over babes. This is when we take your super organised, perfectly prepped vision and make it a reality. Let us take the reins. 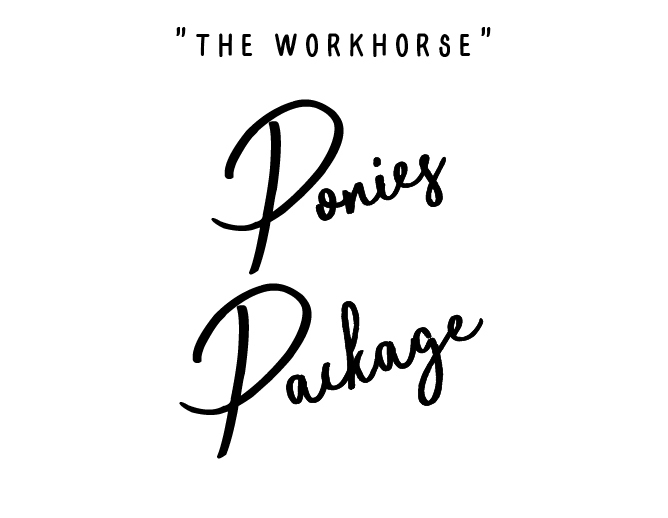 Our Ponies package is the workhorse of our packages, the important behind the scenes logistics stuff making it all happen. I will take the stress out of your big day so you can soak in all the fun. - Setting up areas not looked after by your venue, i.e place cards, guest book, gift collection, favours and signage. - Tasks throughout the day including getting the bridal party a drink.